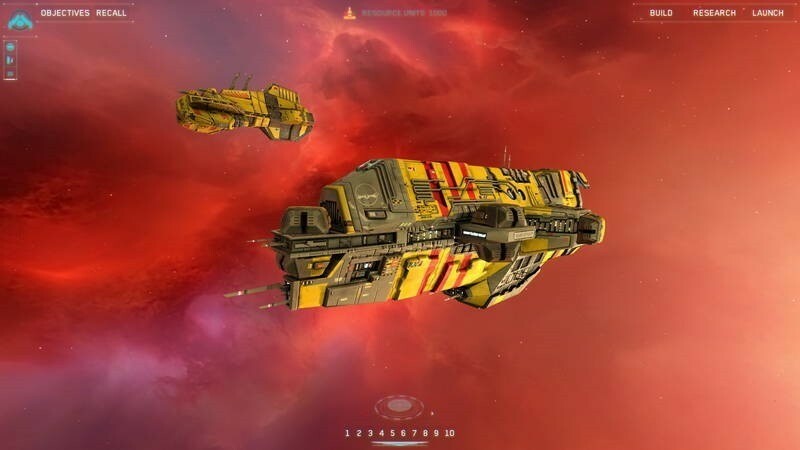 It’s been nearly two decades since Homeworld first released. A game that, at the age of twelve, was an utterly wondrous experience for me. The innovation of fully three dimensional movement (something which is still largely unseen in RTS games since), the beautiful atmospheric music, the even more beautiful art of distant nebulae, and the mystery and wonder of the tale being told of the Exile’s journey home. It was a powerful experience for me, and certain moments from that first game are chief among the most cherished gaming memories I have. While Homeworld 2 lacked much of the mystery of the first game, it more than made up with it by being absolutely beautiful to look at while in action, bringing the artwork of 90’s sci-fi books and rock albums to life. As such, the announcement that Gearbox would use its recently acquired Homeworld IP to rebuild and re-release both Homeworld games temporarily reverted me into my twelve year old self having just been told I get Disneyland in my own back yard. In space. With Space-lasers. Needless to say, I was somewhat pleased with the announcement. Having had a chance to play the game hands on, it’s been a fantastic experience. Merely being able to play Homeworld 1 on my PC again without jumping through hoops is a huge plus, allowing me to re-experience those moments so important to me. Also, the game is now gorgeous. Did I mention how gorgeous it is? Because it is pretty fantastically gorgeous. Unicorns-defecating-rainbows-while-high-fiving-flying-fire-tigers gorgeous. Something of a secret bonus to fans is that the hefty upgrade in detail allows a clearer look into the original design intent behind ship designs. This comes across most strongly, I feel, with the larger Taiidan ships from Homeworld 1. Suddenly, where previously a ship’s hull was flat surface with vague pixel-texture, there’s now large external piping snaking along the hull, with sections of grated outlets from within windows can be seen. It provides a pleasing blunt and industrial look that was largely lost in the original game. An embarrassingly large portion of my time with the game was just looking at how all the ships from the original game look in the remaster, like a child running from counter to counter in a space laser-candy store. It’s not only the ships that have leapt forward graphically, but the beautiful environmental art has been visually beefed as well. It’s not necessarily immediately obvious how much they’ve improved, as the developers have worked towards capturing the essence of what fans remember rather than just pouring direct space candy into our eyes. In particular they’ve done a lot to retain the wonderful abstract nature inherent in so much of the background art, which makes it all the more familiar to fans. They have woven in some neat tricks however. The galactic glow that emanates from nebulae now actually emits light, which is then obstructed by ships as they fly past it, making for some truly astounding visual scenery. The audio has been remastered as well, now in high definition and crystal clear. That said, while playing I’ve unfortunately noticed a tendency for popping to suddenly appear for a while – thoughthat’s hopefully fixed in the final game. Additionally the voice actor for Karen S’jet in Homeworld 1 has returned to voice her character in Homeworld 2, where previously she was unable to due to pregnancy. It’s a nice little touch to discover. Setting the visual and audio improvements aside, let’s talk about changes to the campaigns. While Homeworld 2’s campaign has changed little from what I’ve seen, Homeworld 1 has one or two different things that I’ve noticed. Firstly, research now costs resources over time while active, as is the case in Homeworld 2. This is a notable change as previously it was free, but the toll was the time it took to research. This change adds an additional drain on one’s economy that one has to account for, where previously the only cost was building more research ships to hasten the research duration. While this may be an intimidating addition to resource pressure, one other change helps waylay this to a degree: the mechanic from Homeworld 2 where larger ships leave harvestable debris when destroyed has carried over to Homeworld 1’s campaign. This may very well help balance out the new economy drain from resource. On to the remastered multiplayer. The multiplayer of the two games has been congealed together, allowing the two factions from the first game to play with or against the factions of the second game. It’s exciting, though the two factions from the first game do strongly mirror each other, so the faction diversity won’t exactly be a four way split. Additionally, games can now include relics which can be collected to provide powerful boosts – a nod to the original developers of the game I’m sure. Unfortunately I’ve not had the chance to try this out just yet, so there’s no more I can really speak on it. That all said, how does a franchise from the late nineties fit within today’s gaming environment? 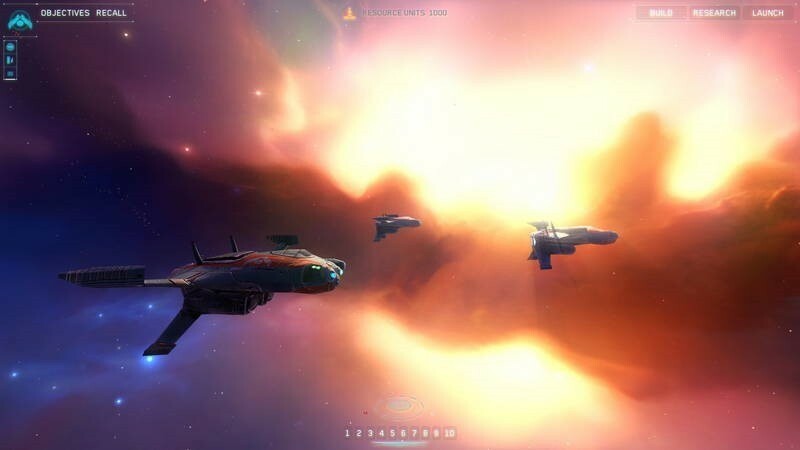 As the fully three dimensional nature of it remains largely unique, the franchise still stands quite strongly among other RTS games. 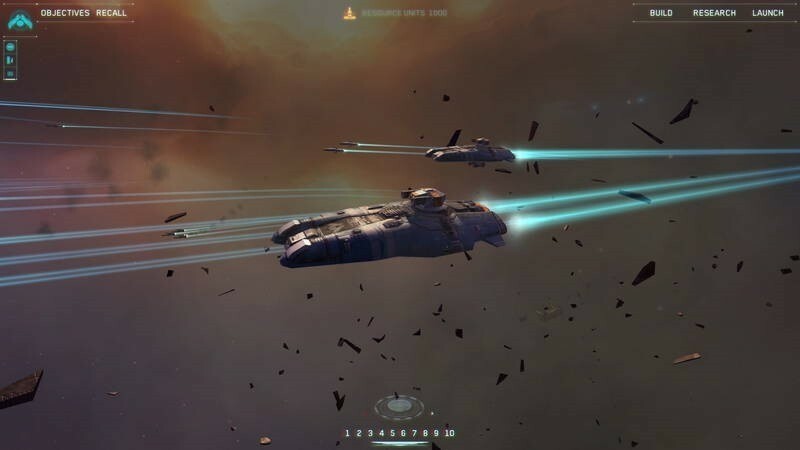 The difficulty level of the campaigns seem as good and challenging as they always were, particularly that of Homeworld 2 whose default difficulty setting – which can’t be changed by the way – is perpetually stuck on Very Bloody Difficult. The story is as strong as it ever was, though oddly it’s still presented with very little fanfare – a weird little reverse of what’s become all too popular these days. 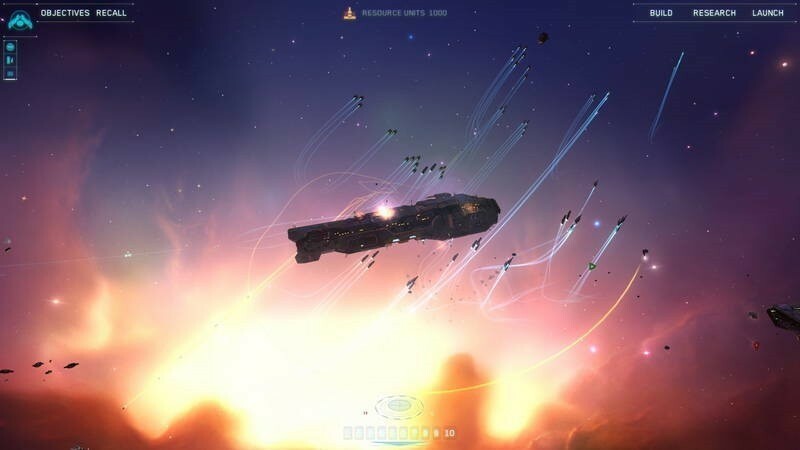 The relatively unique three dimensional gameplay may mean many players new to Homeworld find it intimidating or overwhelming, though that freedom of movement is also very much an attraction to those happy to embrace it. It opens many new avenues for both assault and defence. 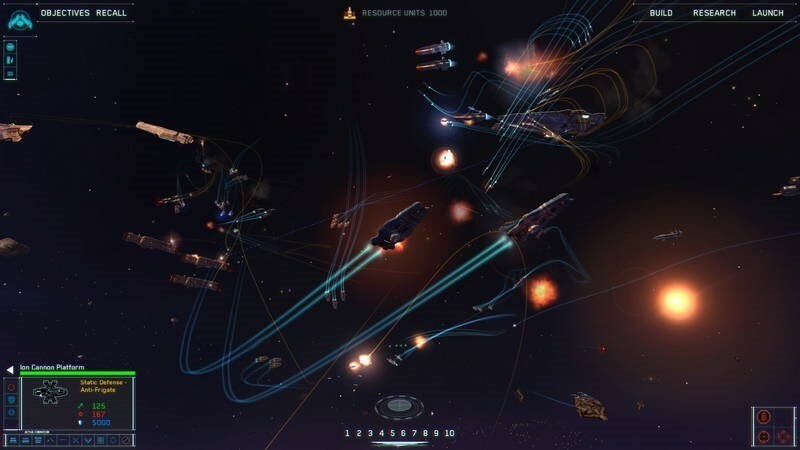 Where one player may push their fleet directly across a map towards their opponent’s ships, their opponent may sneak their own fleet undetected far above or below towards the player’s juicy and vulnerable targets of opportunity. The ability in campaigns, or in skirmishes against only the AI, to pause the game to navigate the battlefield, issue orders, and initiate build or research queues prior to unpausing still allows for a great sense of management, and does very lightly appeal to the turn based combat crowd. Be warned though, this freedom of command is justified by the games’ difficulty! Fans of the franchise will undoubtedly adore this labour of love from Gearbox, though I’m really interested to see how those new to the Homeworld games will take to it. As a fan myself, I’m unsurprisingly very pleased with what I’ve seen so far, and I eagerly look forward to delving further into the game that has such a special place in my heart.